Abstract: In Video Retrieval system, each video that is stored in the database has its features extracted and compared to the features of the query image. The local invariant features are obtained for all frames in a sequence and tracked throughout the shot to extract stable features. Proposed work is to retrieve video from the database by giving query as an object. Video is firstly converted into frames, these frames are then segmented and an object is separated from the image. Then features are extracted from object image by using SIFT features. Features of the video database obtained by the segmentation and feature extraction using SIFT feature are matched by Nearest Neighbor Search (NNS). In this paper we have evaluated the proposed video retrieval system. The proposed method is better than previous video retrieval methods because it is invariant to illumination changes. Keywords: Video retrieval, segmentation, SIFT, Nearest-neighbor search. 1. John Eakins & Margaret Graham ―Content-based Image Retrieval ―JISC Technology Applications Programme October 1999. 2. Arasanathan Anjulan, Nishan Canagarajah ―Object based video retrieval with local region tracking‖ Signal Processing: Image Communication 22 (2007) 607–621. 3. Arasanathan Anjulan and Nishan Canagarajah‖ Video Scene Retrieval Based on Local Region Features‖ ICIP 2006. 1-4244-0481-9/06/2006 IEEE. 4. D. G. Lowe. Distinctive image features from scale-invariant keypoints. Int. J. Comput. Vision, 60(2):91-110, 2004. 5. Lili Nurliyana Abdullah, Shahrul Azman Mohd Noah & Tengku Mohd Tengku Sembok,‖ Exploring Video Information: Contents and Architecture‖. 6. Vaclav Hlavac ,‖ Image Segmentation‖ http://cmp.felk.cvut.cz. 7. Bremner D, Demaine E, Erickson J, Iacono J, Langerman S, Morin P, Toussaint G (2005). "Output-sensitive algorithms for computing nearest-neighbor decision boundaries". Discrete and Computational Geometry 33 (4): 593–604. 9. Rahul Choudhury, EE 368 Project Report ―Recognizing pictures at an exhibition using SIFT‖. 10. P. Geetha, Vasumathi Narayanan,‖ A Survey of Content-Based Video Retrieval‖, Journal of Computer Science 4 (6): 474-486, 2008 ISSN 1549-3636 © 2008 Science Publications. Abstract: Steganography is the art of hiding the fact that communication is taking place, by hiding information in other information. Many different carrier file formats can be used, but digital images are the most popular because of their frequency on the Internet. For hiding secret information in images, there exists a large variety of Steganographic techniques some are more complex than others and all of them have respective strong and weak points. The Least Significant Bit (LSB) insertion method is the most common and easiest method for embedding messages in an image. 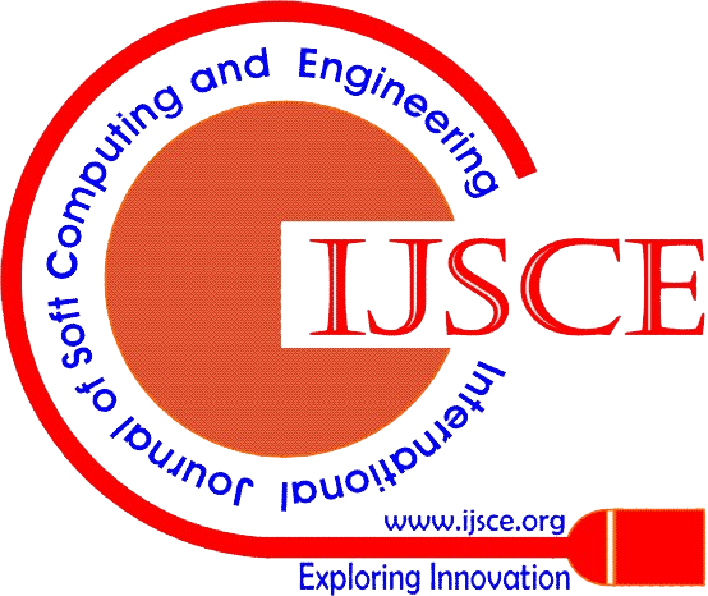 This paper work intends to give an overview of image Steganography, its uses and techniques along with an attempt to implement a basic image Steganographic model by using an adaptive encoding algorithm which attempts to maximize the embedding capacity of each pixel through LSB insertion method. The Implementation is named StegSan which also uses file compression and data encoding mechanisms to make the image more secure and less detectable. Keywords: Steganography, LSB Insertion method, adaptive encoding, StegSan approach. 1. F. A. P. Petitcolas, R. J. Anderson and M. G. Kuhn, "Information hiding-A survey," Proc. IEEE, vol. 87, pp. 1062-1078,1999. 2. H. Wang and S. Wang, "Cyber warfare-Steganography vs. Steganalysis," Commun. ACM, vol. 47, no. 10, pp. 76-82, 2004. 3. X. Zhang and S. Wang, "Steganography using multiplebase notational system and human vision sensitivity," IEEE Signal Processing Letters, vol. 12, pp. 67-70, Jan. 2005. 5. H. Noda, J. Spaulding, M. N. Shirazi, and E. Kawaguchi, "Application of bit-plane decomposition steganography to JPEG2000 encoded images," IEEE Signal Processing Lett., vol. 9, no. 12, pp. 410-413, Dec. 2002. 6. D.-C. Wu and W.-H. Tsai, "A steganographic method for images by pixel-value differencing," Pattern Recognit. Lett., vol. 24, pp. 1613-1626,2003. 7. C. K. Chan and L. M. Cheng, "Hiding data in images by simple LSB substitution," Pattern Recognition, pp. 469--474, Mar. 2004. 8. N.!. Wu and M.S. Hwang,"Data Hiding: Current Status and Key Issues," International Journal of Network Security, Vol.4, No.1, PP. 1-9,2007. 9. Y.K. Lee and L. h. Chen, "An Adaptive Image Steganographic Model Based on Minimum-Error LSB Replacement," In Proceedings of the Ninth National Conference on Information Security. Taichung, Taiwan, 14-15, pp.8-15, 1999. 11. Hengfu YANG ,Xingming SUN , Guang SUN “A High-Capacity Image Data Hiding Scheme Using Adaptive LSB Substitution” VOL. 18, NO. 4, Dec. 2009. 12. Chandramouli, R., Kharrazi, M. and Memon, N. (2004) "Image Steganography and Steganalysis: Concepts and Practice", In: Kalker, T. and Cox, I. et al. (ed.). Digital Watermarking Springer Berlin / Heidelberg 204-11. Abstract: Sorting is a process of rearranging a sequence of objects into some kind of predefined linear order. String data is very common and most occurring data type. Sorting a string involves comparison it character by character which is more time consuming than integer sorting. Also, sorting forms the basis of many applications like data processing, databases, pattern matching and searching etc. So implementing improvements to make it fast and efficient will help in reducing the computational time and thus making our applications run faster. This paper briefs about various fast and efficient string sorting algorithms. The algorithms have been divided into two categories: cache-aware and cache-oblivious. The various algorithms discussed are: CRadix Sort, Burstsort and cacheoblivious string sorting algorithm. The improvement in CRadix Sort is achieved by starting the sorting with the most significant digit and associating a small block of main memory called the key buffer to each key and sorting a portion of each key into its corresponding key buffer. Burstsort is a trie-based string sorting algorithm that distributes strings into small buckets whose contents are then sorted in cache. The cacheoblivious string sorting algorithm is a randomized algorithm for string sorting which uses signature technique (reduces the sequence by creating a set of “signatures” strings having the same trie structure as the original set) to sort strings. Keywords: Cache-aware, Cache-oblivious, External string sorting. 1. R. SINHA and A. WIRTH, ―Engineering Burstsort: Towards fast in-place string sorting‖, ACM Journal of Experimental Algorithmics, Vol. 15, Article No. 2.5, 2010. 2. W.H. Ng and K. Kakehi, ―Cache efficient radix sort for string sorting‖, IEICE TRANS. FUNDAMENTALS, Vol. E90–A, No. 2, 2007. 3. S. Heinz, J. Zobel, and H.E. Williams, ―Burst tries: Afast, efficient data structure for string keys‖, ACM Trans. Inform. Syst, Vol.,20, No. 2, 2002, pages192–223. 4. L. Arge, M. A. Bender, E. D. Demaine, B. Holland- Minkley, and J. I. Munro, ―Cache-oblivious priority queue and graph algorithm applications‖, In ACM, editor, Proceedings of the 34th Annual ACM Symposium on Theory of Computing (STOC ’02), ACM Press, 2002, pages 268–276. 5. J. Bentley and R. Sedgewick, ―Fast algorithms for sorting and searching strings‖, In Proceedings of the Annual ACM-SIAM Symposium on Discrete Algorithms. Society for Industrial and Applied Mathematics, Philadelphia, 1997, pages360–369. 6. L. Arge, P. Ferragina, R. Grossi, and J. S. Vitter, ―On sorting strings in external memory (extended abstract)‖, In ACM, editor, Proceedings of the 29th Annual ACM Symposium on Theory of Computing (STOC ’97) , ACM Press, 1997, pages 540–548. 8. A. Andersson and S. Nilsson, ―Implementing radixsort‖, ACM J. Exp. Algorithmics 3, 7, 1998. 9. LaMarca and R.E. Ladner, ―The influence of caches on the performance of sorting,‖ J. Algorithms, vol.31, 1999, pages66–104. 10. Aggarwal and J.S. Vitter, ―The input/output complexity of sorting and related problems‖, Communications of the ACM, 31(9), 1988, pages1116- 1127. 11. J. S. Vitter and E.A.M. Shrive, ―Algorithms for parallel memory I: Two-level memories‖, Algoritmica 13, 1994, pages110–147. 12. Yale N. Patt, ―The I/O subsystem—a candidate for improvement‖, Guest Editor’s Introduction in IEEE Computer, 27(3) , 1994, pages15-16. 13. R. Fagerberg, A. Pagh and R. Pagh, ―External string sorting: Faster and cache-oblivious‖. Abstract: Software is characterised by software metrics. Calculation of effort estimation is a type of software metrics. Software effort estimation plays a vital role in the development of software. In recent years, software has become the most expensive component of computer system projects. The major part of cost of software development is due to the human-effort, and most cost estimation methods focus on this aspect and give estimates in terms of person-month. In this paper, estimation of effort required for the development of software project is calculated using genetic algorithm approach. Software systems are becoming complex and they desire for new, effective and optimized technique with limited resources. A solution to this problem lies in nature where complex species have evolved from simple organisms and constantly become able to adapt to changes in the environment. In case of species, it takes hundreds of generations and years which are not considerable in the field of software engineering. With the use of genetic algorithm, it can be done instantly by simulating the results on various tools of genetic algorithm. Keywords: Effort estimation, Effort estimation models, Walston-Felix model, COCOMO model, SEL model. 1. Yeong-Seok Seo, Kyung-A Yoon, Doo-Hwan Bae, An Empirical analysis of software effort estimation with outlier elimination, Proceedings of the 4th International workshop on Predictor models in Software Engineering © ACM 2008 (ISBN: 978-1-60558-036-4/08). 2. Pichai Jodpimai, Peraphon, Advanced Virtual and Intelligent Computing Centre , Analysis of Effort Estimation based on Software Project Models © IEEE 2009. 3. Parvinder S. Sandhu, Manisha Prashar, Pourush Bassi and Atul Bisht , A model for estimation of efforts in development of software systems,World Academy of Science and Technology 56-2009. 4. Alaa F Sheta, Estimation of the COCOMO model parameters using genetic algorithm for NASA Software Projects, Journal of Computer Science 2006 ISSN: 1549-3636 © 2006 Science Publications. 5. Andreea Fanea and Laura Diosan, Components execution order using Genetic Algorithm, STUDIA UNIV. BABES BOLYAI, INFORMATICA, 2005. 6. Westley Weimer, ThanhVu Nguyen, Claire Le Goues and Stephanie Forrest, Automatically Finding Patches Using Genetic Programming, ICSE’09, © IEEE. 7. Mark Harman, The Current State and Future of Search Based Software Engineering, Future of Software Engineering (FOSE'07) © 2007 IEEE. 8. Indrajit Bhattacharyya, Vector GA - A Novel Enhancement of Genetic Algorithms for Efficient Multi-variable or Multi-dimensional Search, November 2009 Volume 34 Number 6, ACM. 9. Anne Martens, Optimising Multiple Quality Criteria of Service-Oriented Software Architectures, QUASOSS’09, August 25, 2009, ACM Publications. 10. Yujie Yao and Haopeng Chen, QoS-aware Service Composition Using NSGA, ICIS 2009, November 24-26, 2009 Seoul, Korea © 2009 ACM 978-1-60558-710. 11. Hsin-yi Jiang, Carl Chang, Deriving Evaluation Metrics for Applicability of Genetic Algorithms to Optimization Problems, GECCO'08, ACM 978-1-60558-130. 12. Outi Raiha, Applying Genetic Algorithms in Software Architecture Design, University of Tampere Department of Computer Sciences, February 2008. 13. Wasif Afzal, Richard Torkar, Suitability of genetic programming for software reliability growth modeling, Blekinge Institute of Technology. 14. John R. Koza, Introduction to Genetic Programming, GECCO-2008—ATLANTA JULY 12–16, 2008. 15. Hsin-yi Jiang, Can the Genetic Algorithm Be a Good Tool for Software Engineering Searching Problems? Compsac, vol. 2, pp.362-366, 30th Annual International Computer Software and Applications Conference (COMPSAC'06), 2006. 16. Kavita Choudhary GA based Optimization of Software Development Effort Estimation (ISSN No-0976-8491), Vol 1 Issue 1 (IJCST 0910/963/229), Dec 2010. Abstract: The use of Gaussian Mixture Models (GMM) are most common in speaker identification due to it can be performed in a completely text independent situation. However, it sounds efficient to speaker identification application, but it results long time processing in practice. In this paper, we propose a decision function by using vector quantization (VQ) techniques to decrease the training model for GMM in order to reduce the processing time. In our proposed modeling, we take the superiority of VQ, which is simplicity computation to distinguish between male and female speaker. Then, in second phase of classification, decision tree rule are applied to separate out the similar speaker in same gender into two difference group. While in phase 3, GMM is applied into the subgroup of speaker to get the accuracy rates. Experimental result shows that our hybrid VQ/GMM method always yielded better Improvements in accuracy and bring almost 20% reduce in time processing. Keywords: MFCC, VQ, Cepstrum, LBG Algorithim. 1. Campbell, J.P., "Speaker Recognition: A Tutorial", Proc. of the IEEE, vol. 85, no. 9, 1997, pp. 1437-1462. 2. Sakoe, H.and Chiba, S., "Dynamic programming algorithm optimization for spoken word recognition", Acoustics, Speech, and Signal Processing, IEEE Transactions on Volume 26, Issue 1, Feb 1978, Page 43 - 49. 3. Vlasta Radová and Zdenek Svenda, "Speaker Identification Based on Vector Quantization", Proceedings of the Second International Workshop on Text, Speech and Dialogue, Vol. 1692, 1999, Pages: 341 -344. 4. Lawrence R. Rabiner., "A Tutorial on Hidden Markov Models and Selected Applications in Speech Recognition", Proceedings of the IEEE,77 (2), 1989, p. 257–286. 5. Reynolds, D. A. and Rose, R. C. "Robust text-independent speaker identification using Gaussian mixture speaker models. IEEE Trans.Speech Audio Process. 3, 1995, pp 72–83. 6. Solera, U.R., Martín-Iglesias, D., Gallardo-Antolín, A., Peláez-Moreno,C. and Díaz-de-María, F, "Robust ASR using Support Vector Machines",Speech Communication, Volume 49 Issue 4, 2007. 7. J. Pelecanos, S. Myers, S. Sridharan and V. Chandran, "Vector Quantization Based Gaussian Modeling for Speaker Verification", 15thInternational Conference on Pattern Recognition, Volume 3, 2000, p.3298. 8. Qiguang Lin, Ea-Ee Jan, ChiWei Che, Dong-Suk Yuk and lanagan, J,"Selective use of the speech spectrum and a VQGMM method for speaker identification", Fourth International Conference on Spoken Language, Vol 4, 1996, Pg:2415 - 2418. 9. Davis, S. B. and Mermelstein, P., "Comparison of parametric representations for monosyllabic word recognition in continuouslyspoken sentences", IEEE Trans. on Acoustic, Speech and Signal Processing, ASSP-28, 1980, No. 4. 10. Yu, K., Mason, J., Oglesby, J., ―Speaker recognition using hidden Markov models, dynamic time warping and vector quantization‖ Vision, Image and Signal Processing, IEE Proceedings, Oct 1995. 11. Vijendra Raj Apsingekar and Phillip L. De Leon; Speaker Model Clustering for Efficient Speaker Identification in Large Population Applications; IEEE transactions on Speech and Audio Signal Processing; Vol. 17, No. 4; May 2009. 13. Y. Linde, A. Buzo, and R.M. Gray,. "An algorithm for vector quantizer design,". IEEE Trans. Communications, vol. COM-28(1), pp. 84-96, Jan. 1980. 14. R. Gray. "Vector quantization,". IEEE Acoust., Speech, Signal Process. Mag., vol. 1, pp. 4-29, Apr. 1984. 15. F.K. Soong, A.E. Rosenberg, L.R. Rabiner, and B.H. Juang,. "A Vector quantization approach to speaker recognition,". in Proc. IEEE Int. Conf. Acoust., Speech, Signal Process., vol. 10, Detroit, Michingon, Apr. 1985, pp. 387-90. 17. Rabiner.L.& Juang B.H., ―Fundamentals of speech recognition‖, Prentice Hall, NJ 1993. 18. Wai C. Chu, ―Speech Coding Algorithm‖, Wiley Interscience, New York, NY, 2003. 19. C. Becchetti and Lucio Prina Ricotti, ―Speech Recognition‖, John Wiley and Sons, England, 1999. 21. J.Y. Hwang , P.M. Schuelthess , ― Block quantization of coreleted Gaussian Random Variables,‖ IEEE Tran. Commu Vol COM 11, pp 289-296 Sep 1963. 22. H. Gish, J.N. Pierce, ― Asympoticaaly efficient Quantizing ,‖ IEEE Tran. Infor Tehory Vol IT-14, pp, 676-683, Sept 1968. 23. AGeirsoi , ―Asympoticaaly optimal block Quantization ,‖ IEEE Tran. Infor Tehory Vol IT-25, pp, 378-380, July 1979. 24. Y. Londe, A. Buzo, R.M. Gray,‖ An Algoii. For vector quantizer design,‖ IEEE Tran. Commun. Vol Comm 28, ppi, 84-95, Jan 1980. 25. P.A. Chou, T. Lookabaugh, and R. M. Gray, ―Entropy Constrained Vector Quantization ,‖ IEEE Tran Acustic speec signal processing. Vol 37, pp, 31-42, Jan 1989.26. ]N. M. Akrout, C. Diab, R. Prost, and R. Goutte,‖Code Word Orientation an improved subband vector quantization scheme for image coding,‖ Opt. Engg. VOl. 33 No. 7, pp 2294-2398 July 1994. 27. Poonam Bansal, Amita Dev, Shail Bala Jain, ― Automatic speaker identification using vector Quantization, ― Asian Journal of Information Technology pp938-942, 2007. 30. Guorong Xuan, Wei Zhang and Peiqi Chai; EM Algorithms Of GaussianMixture ModelandHidden Markov Model; IEEE Transactions; 2001. 31. D.A.Reynols, R.C.Rose ―A Gaussian mixture modeling approach to text independent speaker recognitions system‖ in Proc. Int. Conf. Signal Processing Apll. Tech. Nov. 1992 pp. 967-973. 32. A.Revathi and Y.Venkataramani,‖Text independent speaker identification/verification using multiple features‖, Proceedings of IEEE International Conference on Computer Science and Information Engineering, April 2009, Los Angeles, USA. 33. P. Li and J. E. Porter, “Normalizations and selection of speech segments for speaker recognition scoring, ‖in Proc. IEEE Int. Conf. Acoustics, Speech, Signal Processing (ICASSP ’88), vol. 1, pp. 595–598, New York, NY, USA, April 1988. Processing, Vol.11, No.1, January 2009. 35. J. Koolwaaij and L. Boves, ―Local normalization and delayed decision making in speaker detection and tracking,‖ Digital Signal Processing, vol. 10, no. 1–3, pp. 113–132, 2000. 36. P. Delacourt and C. J. Wellekens, ―DISTBIC: A speaker based segmentation for audio data indexing,‖ Speech Communication, vol. 32, no. 1-2, pp. 111–126, 2000. 37. R. Auckenthaler,M. Carey, and H. Lloyd-Thomas, ―Score normalization for text-independent speaker verification system, “Digital Signal Processing, vol. 10, no. 1, 2000. 38. Lippman, R.P. "Neural Classifiers Useful for Speech Recognition", IEEEMagazine on Acoustic. Speech and Signal Processing, vo1.4, no.2, pp. 4-22. 39. K. R. Farrell, R.Mammone, and K. Assaleh, ―Speaker recognition using neural networks and conventional classifiers,‖ IEEE Trans. Speech, and Audio Processing, vol. 2, no. 1, pp. 194–205,1994. 40. M. D. Richard and R. P. Lippmann, ―Neural network classifiers estimate Bayesian a posteriori probabilities,‖ Neural Computation, vol. 3, no. 4, pp. 461–483, 1991. 41. Niles, L.T. and Silverman,querque, ―Combining Hidden Markov Model and Neural Classifiers‖, April, 1990 H.F., PIOC. ICASSP-1990, pp.417-420. 43. Peter Varchol, Duston Levicky, ―Optimization of GMM for text Independent Speaker Verification System‖ IEEE transaction on signal processing 978-1-4244-2088-9/08/2008/IEEE. 4. H. Shah, J. Undercoffer, and A. Joshi, “Fuzzy Clustering for Intrusion Detection”, Proc. 12th IEEE Int’l Conf. Fuzzy Systems (FUZZ-IEEE '03), 2, pp. 1274 – 1278, 2007. 7. Michael Sobirey's Intrusion Detection Systems page, http://www.rnks.informatik.tucot. 8. “ NIST Special Publication on Intrusion Detection Systems“, SP 800-31 Computer Security Resource Center (CSRC), National Institute of Standards and Technology (NIST), Nov. 2008, p.15. 9. P.Lichodzijewski, A. n. Zincir-Heywood and M. I. Heywood, “ Host-based intrusion detection using Neural Gas,” Proceedings of the 2002 IEEE World Congress on Computational Intelligence, 2002 (in press). Abstract: Color and Texture information have been the primitive image descriptors in content based image retrieval systems. In this article, a method is proposed for image mining based on analysis of color Histogram values and texture descriptor of an image. For this purpose, three functions are used for texture descriptor analysis such as entropy, local range and standard deviation. To extract the color properties of an image, histogram values are used. The combination of the color and texture features of the image provides a robust feature set for image retrieval. Keywords: content-based image retrieval, color histogram, image texture. 1. Texture Based Image Indexing and Retrieval . N Ganeshwara rao, Dr. V. Vijaya Kumar, V Venkata Krishna. 2. A survey of methods for colour image indexing and retrieval in Image database.Raimondo Schettini , Gianluigi ciocca, Silvia Zuffi. 3. Color Texture Moments For Content – Based Image Retrieval, Hui Yu1, Mingjing Li2, Hong-Jiang Zhang2, Jufu Feng1. 4. Entropy-Based Indexing On Color And Texture In Image Retrieval Anirban Das. 5. Content Based image Retrieval at the End of the Early Years,Arnold W.M. Smeulders IEEE,Marcel Worring ,Simone Santini IEEE,Amarnath Gupta IEEE,Ramesh Jain,IEEE. 6. Object-Based Image Indexing and Retrieval in DCT Domain using Clustering Techniques, Hossein Nezamabadi-pour and Saeid Saryazdi. 7. Histogram Re nement for Content-Based Image Retrieval, Greg Pass Ramin Zabih. 8. Entropy-Based Indexing On Color And Texture In Image Retrieval, Anirban Das. Abstract: Segmentation of Brain tumor accurately is a challenging task in MRI. The MRI image is an image that produces a high contrast images indicating regular and irregular tissues that help to distinguish the overlapping in margin of each limb. But when the edges of tumor is not sharped then the segmentation results are not accurate i.e. segmentation may be over or under. This may be happened due to initial stage of the tumors . So , in this paper a modified method of tumor line detection and segmentation is used to separate the irregular from the regular surrounding tissue to get a real identification of involved and noninvolved area that help the surgeon to distinguish the involved area precisely. The method used in this paper is seeded region growing method and it was implemented using MATLAB 7.6.0.324 on 25 Magnetic Resonance Images to detect the tumor boundaries in 2D MRI for different cases. Keywords: Gray level, MRI image, Region growing, tumour, segmentation etc. 1. R.B. Dubey, M. Hanmandlu, S.K.Gupta,”Semi-automatic segmentation of MRI Brain tumor”,ICGST-GVIP,ISSN-1687-398X,Volume 9,4 august 2009. 4. Sukhvinder singh, Sukhbeer singh,”Parallel image processing concepts”,IJCCT vol.1,August 2010. 5. E.Konukoglu,” Monitoring slowly evolving tumors”,IEEE ISBI 2008. Abstract: Bankruptcy prediction is very important for all the organization since it affects the economy and causes a rise in many social problems with incremental high costs. There are large number of techniques that have been developed to predict the bankruptcy of firms, which helps the decision makers such as investors and financial analysts to plan in accordance to the financial position of the firm regarding the terms of credit as well as the recovery of the lent amount. The Altman Model for prediction of financial bankruptcy has been considered in this work. The backpropagation neural networks been used to forecast the Z Score for the firms. The research work first estimates the internal parameters of the Z score for a firm from 2001-2008 to the train the BPNN and uses the estimates of the year 2009 and 2010 values for the validation process. Finally it dwells to draw predictions for the period 2011-2015 and emphasizes the growing role of BPNN application based Z Score computation of financial Bankruptcy. 1. Artusi and Brandstetter, Radial basis function networks GPU based implementation, IEEE Transactions on Neural networks, 19(12): 2150–2154, 2008. 2. A.F. Atiya. Bankruptcy prediction for credit risk using neural networks: A survey and new results,Neural Networks, IEEE Transactions on, 12(4):929 – 935, Jul 2001. 5. E. I. Altman Corporate Financial Distress and Bankruptcy: A Complete Guide to Predicting and Avoiding Distress and Profiting from Bankruptcy, John Wiley & Sons, 2nd edition, 1993. 6. E. I. Altman ―Financial ratios, discriminant analysis and the prediction of corporate bankruptcy, Journal of Finance, 23(4):589 – 609, September 1968. 8. J.A. Anderson, C.D. Lorenz, and A. Travesset ― General purpose molecular dynamics simulations fully implemented on graphics processing units, J. Computational Physics, 227(10):5342–5359, 2008. 9. K.-S. Oh and K. Jun g GPU implementation of neural networks. Pattern Recognition, 37(6):1311–1314, 2004. 10. Noel Lopes and Bernardete Ribeiro ―An efficient gradient-based learning algorithm applied to neural networks with selective actuation neurons, Neural, Parallel and Scientific Computations, 11:253–272,2003. 11. Noel Lopes and Bernardete Ribeiro ―GPU implementation of the multiple back-propagation algorithm‖, In Proceedings of Intelligent Data Engineering and Automated Learning, pages 449–456. LNCS, Springer-Verlag, 2009. 12. P. Ravi Kumar and V. Ravi ―Bankruptcy prediction in banks and firms via statistical and intelligent techniques - a review‖, European Journal of Operational Research, 180(1):1 – 28, July 2007. 13. S. Che, M. Boyer, J. Meng, D. Tarjan, J.W. Sheaffer, and K. Skadron ― A performance study of general-purpose applications on graphics processors using CUDA, Journal of Parallel and Distributed Computing,68(10):1370–1380, 2008. 14. Huang Fu-yuan A genetic fuzzy neural network for bankruptcy prediction in chinese corporations, In International Conference on Risk Management & Engineering Management (ICRMEM ’08), pages 542 – 546, Nov. 2008. 15. Sam S. Stone, Haoran Yi, Justin P. Haldar, Wen-Mei W. Hwu,Bradley P. Sutton, and Zhi-Pei Liang ― Accelerating advanced MRI 2215 reconstructions on GPUs, In 5th International Conference on Computing Frontiers, 2008. 16. V. Volkov and J.W. Demmel. LU, QR and Cholesky factorizations using vector capabilities of GPUs, Technical Report EECS-2008-49, EECS Dept., Univ. of Calif., Berkeley, 2008. Abstract: Social networking websites contain vast amount of data inside them. Volume of data is enormous and growing at a very fast rate. Social network data can be classified in threemajor categories – user profile data, user communication data and group communication data. Data mining can be applied effectively to discover the knowledge and to extract the useful patterns from this gigantic data set, which is called as the social network mining. Person Related to a Field (PRTF) is a protocol to mine the information across all the social networking data, in general, and use the extracted pattern to search an expert in particular. It also proposes the mechanism to rank the searched experts. In this paper we propose an open source implementation of the PRTF (Person related to a Field) protocol. Using this proposed framework, apart from expert identification, number of useful patterns can be discovered from social networking data. The proposed framework is implemented using open source technologies and is explained with the help of an illustrative example. Keywords: Social network mining, data mining, expert finding, PRTF. 1. Ashok Bhansali and Dr. HR Sharma, “PRTF: Person Related to a Field Protocol for Searching in Social Network Databases”, Journal of Global Research in Computer Science, Pages: 21-26, Dec’ 2010. 7. Krisztian Balog and Maarten de Rijke, “Determining Expert Profiles (With an Application to Expert Finding)”, International Joint Conference On Artificial Intelligence archive, Proceedings of the 20th international joint conference on Artifical intelligence, Pages: 2657- 2662, 2007. 9. John G. Breslin, Uldis Bojars, Boanerges Aleman-Meza, Harold Boley, Malgorzata Mochol, Lyndon JB Nixon, Axel Polleres, and Anna V. Zhdanova, “Finding experts using Internet-based discussions in online communities and associated social networks”, In Proceedings of the 1st International ExpertFinder Workshop Workshop at Knowledge Web General Assembly 2007, 2007. 10. Jian Jiao, Jun Yan, Haibei Zhao, Weiguo Fan, ExpertRank: An Expert User Ranking Algorithm in Online Communities, 2009 International Conference on New Trends in Information and Service Science, pp. 674 - 679. Abstract: In designing of SM fibers, dispersion behavior is a major distinguishing feature which limits long distance and high speed transmission. Dispersion of SMF is lowest at 1.3 um, but the attenuation is minimum at 1.55 um. At 1.55um dispersion is higher. For achieving maximum transmission distance in a high capacity link ,dispersion null should be at the wavelength of minimum attenuation .This may be achieved by mechanisms like reduction in fiber core with an accompanying increase in the relative RI to create Dispersion Shifted Fibers (DCF) . In the proposed work by optimizing the fiber profile a fiber with minimum dispersion slope at the desired wavelength will be carried out. Keywords: Optical Fiber, Dispersion, DSF, MFD. 1. Installation of disperslon - shifted fiber in the British telecom trunk network , Electronics Letters , 28th April 1988, vol. 24 no. 9. 2. Relationship between nonlinear effective area and mode field diameter for dispersion shifted fibres, Y. Namihira, Electronics letters, 3rd February, 1994, vol. 30 no. 3. 3. Performance of optical cable composed of dispersion-shifted single-mode fibers, Journal of Light wave technology, vol. Lt-4, no. 10, October 1986. 4. S. S. Hossain and Alan Couchman, "Design of single mode SMF, NZ-DSF and DCF optical fibers", Proceeding of CCECE05 18th Annual Canadian Conference on Electrical and Computer Engineering, Saskatoon, Saskatchewan, Canada, May 2005. 6. M. A. Saifi et al., ―Triangular-profile single-mode fiber Opt. Lett. 7 (1), 43 (1982). 7. B. J. Ainslie et al., ―Mono-mode fibre with ultra-low loss and minimum dispersion at 1.55 μm, Electron. Lett. 18, 842 (1982). 8. V. A. Bhagavatula and M. S. Spitz, ―Dispersion-shifted segmented-core single-mode fibers, Opt. Lett. 9 (5), 186 (1984). 9. A.M. Agarkar , S. Dufare ,Novel Single Mode Fiber (SMF) Ultra Low Loss Design in 1.550 μm window considering PMD, DGD and various Bending Radii, International Journal of Computer Applications (0975 – 8887),Volume 10– No.7, November 2010. Abstract: Automatic modulation classification is a procedure performed at the receiver based on the received signal before demodulation when the modulation format is not known to the receiver. AMR is also believed to play an important role in the implementation of Software Defined Radio (SDR) of the 4th-Generation (4G) communication system. The ability to automatically select the correct modulation scheme used in an unknown received signal is a major advantage in a wireless network This paper describes one application that exploits the flexibility of a software radio. As compared to the previous work this approach uses stochastic features to distinguish modulated signals for varying Signal to Noise Ratio (SNR). The proposed method is simple effective and robust. It is based on the stochastic features derived from instantaneous features to classify digital modulation signals.. This method is capable of differentiating ASK2, ASK4, FSK2, FSK4, PSK2 and PSK4 signals at the output of a typical high frequency channel with white Gaussian noise, Unlike most other existing methods, proposed method assumes no prior information of the incoming signal (symbol rate, carrier frequency, amplitude etc.). Extensive simulation results demonstrate that this approach is robust in various practical situations in identifying the modulated signals. When SNR is less than 5 dB, the percentage of correct identification is about 97%which increases to almost 100% for SNR 20db. 1. S. Z. Hsue and S. S. Soliman,1989 “Automatic modulation recognition of digitally modulated signals,” in Proc. IEEE MILCOM, , pp. 645-649. 4. B.F. Beidas and C.L.Weber, “Higher-order correlation based approach to modulation classification of digitally modulated signals,” in IEEE Journal on Selected Areain Communications, vol. 13, no.1, pp. 89-101, 1995. 5. E. E. Azzouz and A. K. Nandi, “Automatic Modulation Recognition of Communication Signals”, Kluwer Academic Publishers, 1996. 8. O.A.Dobre, A. Abdi, Y. Bar-Ness, and W. Su, “Survey of automatic modulation classification techniques: classical approaches and new trends,” IET Communications, vol. 1, no. 2, pp. 137–156, 2007. 9. W.Wei and J.M.Mendel, “Maximum-likelihood classification for digital amplitude-phase modulations,” IEEE Transactions on Communications, vol. 48, no. 2, pp. 189–193, 2000. 10. O. A. Dobre and F. Hameed, “Likelihood-based algorithms for linear digital modulation classification in fading CHANNELS,” in Proceedings of the Canadian Conference on Electrical and Computer Engineering (CCECE ’06), pp. 1347–1350, Ottawa, Canada, 2006. 11. A.Ebrahimzadeh and A. Ranjbar, “Intelligent digital signal type identification,” Engineering Applications of Artificial Intelligence, vol. 21, no. 4, pp. 569–577, 2008. 12. Y. Zhao, G. Ren, and Z. Zhong, “Modulation recognition of SDR receivers based onWNN,” in Proceedings of the 63rd IEEEVehicular Technology Conference (VTC ’06), pp. 2140–2143,May 2006. 13. M.L.D. Wong and A. K. Nandi, “Automatic digital modulation recognition using artificial neural network and genetic algorithm,” Signal Processing, vol. 84, no. 2, pp. 351–365, 2004. 14. A.K. Nandi and E. E. Azzouz, “Algorithms for automatic modulation recognition of communication signals,” IEEE Transactions on Communications, vol. 46, no. 4, pp. 431–436,1998. 15. A.Swami and B. M. Sadler, “Hierarchical digital modulation classification using cumulants,” IEEE Transactions on Communications, vol. 48, no. 3, pp. 416–429, 2000. 16. O.A. Dobre, Y. Bar-Ness, and W. Su, “Robust QAM modulation classification algorithm using cyclic cumulants,” in Proceedings of the IEEE Wireless Communications and Networking Conference (WCNC ’04), pp. 745–748, 2004. 17. B.G. Mobasseri, “Digital modulation classification using constellation shape,” Signal Processing, vol. 80, no. 2, pp. 251–277, 2000. 18. P. Prakasam and M. Madheswaran, “Modulation identification algorithm for adaptive demodulator in software defined radios using wavelet transform,” International Journal of Signal Processing, vol. 5, no. 1, pp. 74–81, 2009. 19. K. Maliatsos, S. Vassaki, and P. Constantinou, “Interclass and intraclass modulation recognition using the wavelet transform,” in Proceedings of the 18th Annual IEEE International Symposium on Personal, Indoor and Mobile Radio communications (PIMRC ’07), September 2007. Abstract: The problem of mining association rules has attracted lots of attention in the research community. Several techniques for efficient discovery of association rule have appeared. With abundant literature published in research into frequent itemset mining and deriving association rules, if the question is raised that whether we have solved most of the critical problems related to frequent itemset mining and association rule discovery. Based on the scope of the recent literature, the answer will be negative. The most time consuming operation in discovering association rule, is the computation of the frequency of the occurrences of interesting subset of items (called candidates) in the database of transactions. Can one develop a method that may avoid or reduce candidate generation and test and utilize some novel data structures to reduce the cost in frequent pattern mining? This is the motivation of my study for mining frequent-itemsets and association rules. In this paper we review some existing algorithms for frequent itemset mining and present a proposal of our new approach. Keywords: Data mining, Frequent Item-set mining, Association Rule Mining. 1. R. Agrawal, T. Imilienski, and A. Swami, ―Mining Association Rules between Sets of Items in Large Databases,‖ Proc. of the ACM SIGMOD Int’l Conf. On Management of data, May 1993. 2. R. Agrawal, and R. Srikant, ―Fast Algorithms for Mining Association Rules,‖ Proc. Of the 20th VLDB Conference, Santiago, Chile, 1994. 3. R. Agrawal, J. Shafer, ―Parallel Mining of Association Rules,‖ IEEE Transactions on Knowledge and Data Engineering, Vol. 8, No. 6, Dec. 1996. 5. J.S. Park, M.-S. Chen, and P.S. Yu, 1995. ―An effective hash based algorithm for mining association rules‖. In Proceedings of the 1995 ACM SIGMOD International Conference on Management of Data, volume 24(2) of SIGMOD Record, pp. 175–186. ACM Press. 6. Ashok Savasere, Edward Omieinski and Shankant Navathe, 1995. ―An Efficient Algorithm for Mining Association Rules in Large Databases‖, Proceedings of the 21st International Conference on Very Large Data Bases, pp. 432 – 444. 9. Syed Khairuzzaman Tanbeer, Chowdhury Farhan Ahmed, Byeong-Soo Jeong, Young-Koo Lee. Efficient single-pass frequent pattern mining using a prefix-tree, Elsevier-Information Science 179 (2008) 559-583. 10. C. Agrawal, and P. Yu, ―Mining Large Itemsets for Association Rules,‖ Bulletin of the IEEE Computer Society Technical Committee on Data Engineering, 1997. 11. A. Freitas and S. Lavington, ―Mining very large databases with parallel processing,‖ Kluwer Academic Pub., 1998. 12. H. Mannila, H. Toivonen, and A. Verkamo, ―Efficient Algorithms for Discovering Association Rules,‖ AAAI Workshop on Knowledge Discovery in databases (KDD-94), July 1994. 13. M. Zaki, ―Parallel and Distributed Association Mining: A Survey, ―IEEE Concurrency, 7(4), pp. 14-25, 1999. 14. M. Zaki, S. Parthasarathy, M. Ogihara, and W. Li, ―New Algorithms for Fast Discovery of Association Rules,‖ Proc. Of the 3rd Int’l Conf. On Knowledge Discovery and data Mining (KDD-97), AAAI Press, 1997. 15. Srikant, R. and Agrawal, R., 1996. ―Mining Quantitative Association Rules in Large Relational Tables.‖ In Proc. of ACM SIGMOD Conf. on Management of Data. ACM Press, pp. 1-12. 16. S. Kotsiantis, D. Kanellopoulos, 2006. ―Association Rules Mining: A Recent Overview‖, ESTS International Transactions on Computer Science and Engineering, Vol.32, No. 1, pp. 71-82.17. Erwin, A., Gopalan, R. P., and Achuthan, N. R., 2007. ―CTU-Mine: An Efficient High Utility Itemset Mining Algorithm Using the Pattern Growth Approach‖, IEEE 7th International Conferences on Computer and Information Technology, pp. 71-76. 18. Khan, M.S. Muyeba, M. Coenen, F., 2008. ―A Weighted Utility Framework for Mining Association Rules‖, Second UKSIM European Symposium on Computer Modeling and Simulation, pp. 87-92. Abstract: Outlier detection has many important applications in sensor networks, e.g., abnormal event detection, animal behavior change, intruder detection etc. Outliers in wireless sensor networks (WSNs) are sensor nodes that issue attacks by abnormal behaviours and fake message broadcasting. The probable sources of outliers include noise and errors, events, and malicious attacks on the network. Wireless sensor networks (WSNs) are more likely to generate outliers due to their special characteristics, e.g. constrained available resources, frequent physical failure, and often harsh deployment area. In this project we motivate our technique in the context of the problem of outlier detection. This paper is going to present the real time network outlier detection method in the wireless sensor networks. We proposed the technique to classify the sensor node data as local outlier or cluster outlier or network outlier using Standard Support Vector Machine classification method which is one of the best classification methods among the various outlier detection methods. If the data is classified as network outlier then it may be due an event otherwise if it is classified as a cluster outlier then it is an error in the cluster due to some environmental factor or network otherwise is an error in the sensor node due to some defect in that sensor. Experiments with real data show that our methodis efficient and accurate to detect the outliers in real time. The real time data are collected from the Sensor Scope system and implemented using MATLAB. 3. Ding M, D. Chen, K. Xing, and X. Cheng, "Localized fault-tolerant event boundary detection in sensor networks," in Proceedings of IEEE Conference of Computer and Communications Societies, 2005, pp. 902-913. 5. Luo X, M. Dong, and Y. Huang, "On distributed fault-tolerant detection in wireless sensor networks", IEEE Transactions on Computers, vol. 55, pp. 58-70, 2006. 6. M.Mohamed Sathik, M.Syed Mohamed and A. Balasubramanian. Fire Detection Using Support Vector Machine in Wireless Sensor Network and Rescue Using Pervasive Devices. International Journal of Advanced Networking and Applications 636 Volume:02, Issue:02, Pages:636-639 (2010). 7. Rajasegarar S., C. Leckie, M. Palaniswami, and J. C. Bezdek. Quarter sphere based distributed anomaly detection in wireless sensor networks. IEEE International Conference on Communications, June 2007. 8. Tax D.M.Jand R. P. W. Duin. Support vector data description. Machine Learning, 54(1):45-66, 2004. 13. Zhang Y., N. Meratnia, and P. Havinga. Outlier detection techniques for wireless sensor networks: A survey. Technical Report, University of Twente, 2007.